Standing in front of a painting, squinting, admiring, moving to the next. Until fairly recently, this was a typical museum experience for art lovers. Every now and then, a visitor might find herself stopped in her tracks, lost in contemplation, seconds melting into minutes as each scrutinized brushstroke evoked a fresh wave of awe. Replicas of favourite works, purchased in the inevitable gift shop, served as reminders of an ephemeral moment. In museums such as Florence's Uffizzi, where photography without a special permit is strictly forbidden, this is still the default. In others that allow (usually flash-free) photography, visitors' habits have evolved slightly: standing in front of a sculpture, squinting, finding the best angle for a shot, posting to Instagram. 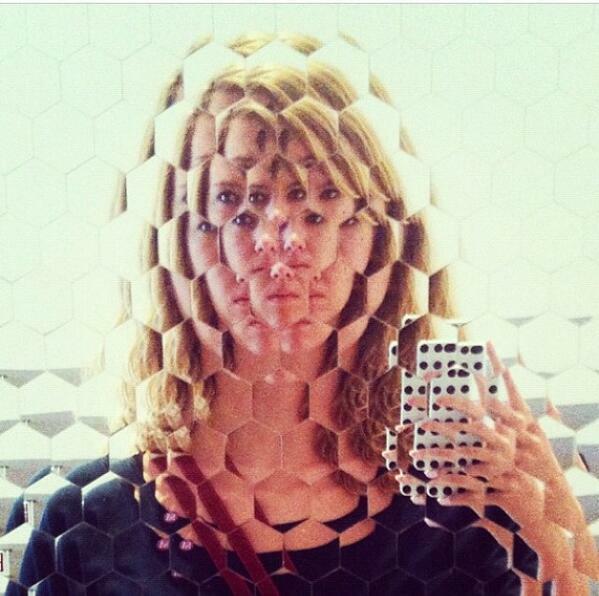 Increasingly, these images are not merely of an artwork, but also of the visitor: the museum selfie. Visitors are coming equipped to reinterpret art quite literally through the lens of their own experience. While traditionalists accuse selfie fans of turning masterpieces into mere wallpaper, the practice is becoming more accepted and even encouraged by curators and museum directors around the world. Not only can inserting oneself into a work of art result, in the best cases at least, in a new work altogether, but the overwhelming love of selfies on social media can be an effortless way of promoting museums and their art. Which is why institutions are grappling with a new conundrum: how to deal with the selfie stick. The gadgets have been banned by London's National Gallery, Berlin's national museums, and New York's Museum of Modern Art, generally on the grounds that waving around sticks while ignoring one's surroundings--consisting mostly of priceless art and other human beings--is a terrible idea. (This neatly bypasses the criticism that selfies in general are a dooming indictment of the human race: the triumph of shallow narcissism over art appreciation.) Other museums, such as the Royal Ontario Museum in Toronto, embrace the selfie stick to entice a younger audience. The clear victor in catering to the needs of all its visitors is Amsterdam's Van Gogh Museum. Reacting to complaints by visitors regarding photography, the institution has banned all picture-taking... except in a special room filled with replicas of its best-loved works. While UNESCO gamely, and without any apparent sense of irony, encouraged the world to celebrate World Poetry Day yesterday with awkward tips such as "Read up about riddles, limericks and sonnets to liven up your evenings" (#4) and "Fight against the outdated image of poetry" (#5), a chain of cafes set its sights on the middle of a Venn diagram of poets, caffeine addicts, and penny pinchers by offering a coffee to customers who wrote them a poem. Under the painfully bad premise that "the more we do, the less we feel", ﻿Julius Meinl﻿ urged us to slow down to... have feelings... and then express them in a hasty iambic pentameter written for the sole purpose of scoring a cup of coffee. On one hand, #PayWithAPoem is a laudable initiative in its ability to drum up more awareness, however superficial, of World Poetry Day than UNESCO's well-meaning but staid website. On the other, it certainly opens the doors to cynicism on several levels. Does the ability to buy an Americano with a poem belittle the efforts of those for whom poetry is an inevitable, undeniable expression of their very being? How many people gleefully sipped their reward for a thoughtless riff on "Roses are red / Violets are blue" that brought them no closer to the form of artistic expression that UNESCO deems important enough to all of humanity to merit its own special day? How many serious poets were willing to trade their pensive observations on the human condition for the sake of not having to count out change while a barista feigns patience? Will all those handwritten cards end up in a smug promotional clip on YouTube? And what determines the true value of a poem? All it takes is a glimpse at Ian Adams's magnificent cover photograph, "Space", to get a sense of the magic folded into the Winter 2015 edition of Agave Magazine. The sobriety of long cold months are reflected here: impermanence, solitude, and loss all find expression, but the gently burning beauty with which these themes are tackled is what lingers longest in the mind's eye. The artists, photographers, writers, and poets whose works we are so proud to bring into the spotlight are united by a shared creative, inquisitive spirit that results in sublimely compelling images that are perfect for contemplation as the chill of winter slowly recedes. We thank all our contributors for sharing their extraordinary talents with us, and invite you, dear Readers, to join us on another aesthetic journey: Agave Magazine's Winter 2015 issue.